When you think of Oxnard, likely the beautiful beaches, well-appointed marinas, close-knit neighborhoods, excellent festivals and amazing weather come to mind. 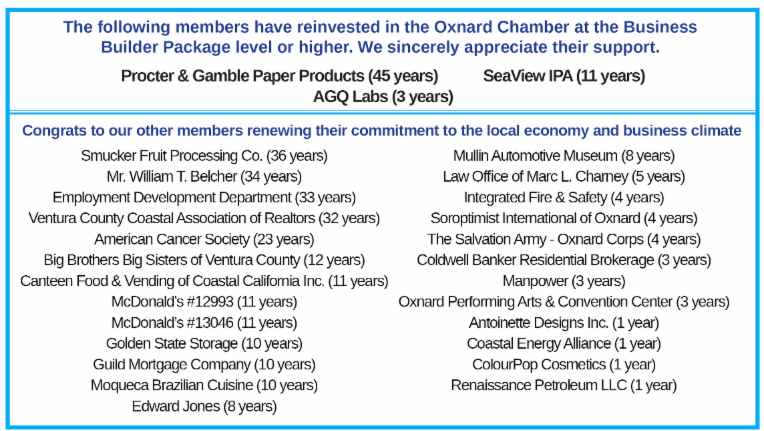 But now, Oxnard is also home to Northrop Grumman, thanks to the company’s relocation to a new manufacturing center. The October 11 Knowledge & Networking lunch will feature the State of the Port report. The Port is one of the biggest economic engines in Ventura County. It is owned and operated by The Oxnard Harbor District, created in 1937, as an independent special district (business enterprise) and political subdivision of the State of California. Its mission is to operate as a self-supporting Port that enforces the principles of sound public stewardship maximizing the potential of maritime-related commerce and regional economic benefit. Mister Softee of Southern California is owned and operated by Jeff and Bobbi Hiller of Camarillo, California. Mister Softee was founded in 1956 by the Conway brothers in Philadelphia, and has over 350 franchisees with over 600 ice cream trucks on the road. The Hiller family is very excited to bring this wonderful tradition to Southern California. Travel with confidence at Fairfield Inn & Suites by Marriott® - a hotel with outstanding service for an easy and comfortable stay at an exceptional value. They're always ready to welcome you to their thoughtfully designed guest rooms and suites with plenty of room to work and relax. Free Wi-Fi throughout the hotel will keep you connected during your stay and their pool and fitness center will help you stay on track. Jump-start each day with their free breakfast, now with more hot choices like oatmeal, sausage and scrambled eggs as well as favorites including fresh fruit and yogurt. They're a city and state licensed dispensary that operates multiple locations throughout California. They have the largest selection of meds with over 1,000 items in our dispensary ranging from flowers, concentrates, tinctures, topicals, accessories, vape pens and edibles. We are always striving to enhance the patient / customer experience, acting with professionalism and providing only products of the highest quality. We're weigh and fill natives with a pioneer approach to cutting edge technology. Accuracy doesn’t happen by chance. It takes a lot of hard work. As a manufacturer, we’ve made a deliberate commitment to creating systems with high accuracy, then engineered every aspect of our operation to achieve ultimate speed. Here at Big Brand Tire & Service our goal is to provide complete customer satisfaction. We have been locally owned and operated for over 45 years. We will be here tomorrow and the next year to handle any problems you may have. Our objective is to provide you with great value. Low prices on inferior merchandise can be expensive and not money saving. Big Brand Tire & Service offers all the "Big Brands" for less including but not limited to Bridgestone, Michelin, Firestone, Cooper, Goodyear, and many more. The Oxnard Chamber of Commerce is proud to be a cosponsor of the first-ever Ventura County Education Summit to be held November 26 in Camarillo. Discover programs and services that are preparing students for local careers and help build stronger ties between education and business. The Presidents of Cal Lutheran and CSU Channel Islands, the Chancellor of the Ventura County Community College District and the Ventura County Superintendent of Schools will all be on hand to take your questions. Register for free at vcp20.org/summit . 1.Had a Chamber Board meeting where the slate of directors up for election was finalized. Watch your email for the notification. 2.OXYP (Oxnard Young Professionals) held their monthly breakfast where the group learned how to build strong connections and develop leadership skills. 3.More than 200 people attended the annual Military Appreciation Dinner where eight enlisted service personnel were honored. 4.Walked a neighborhood precinct with district 1 city council candidate Ken Oplinger . 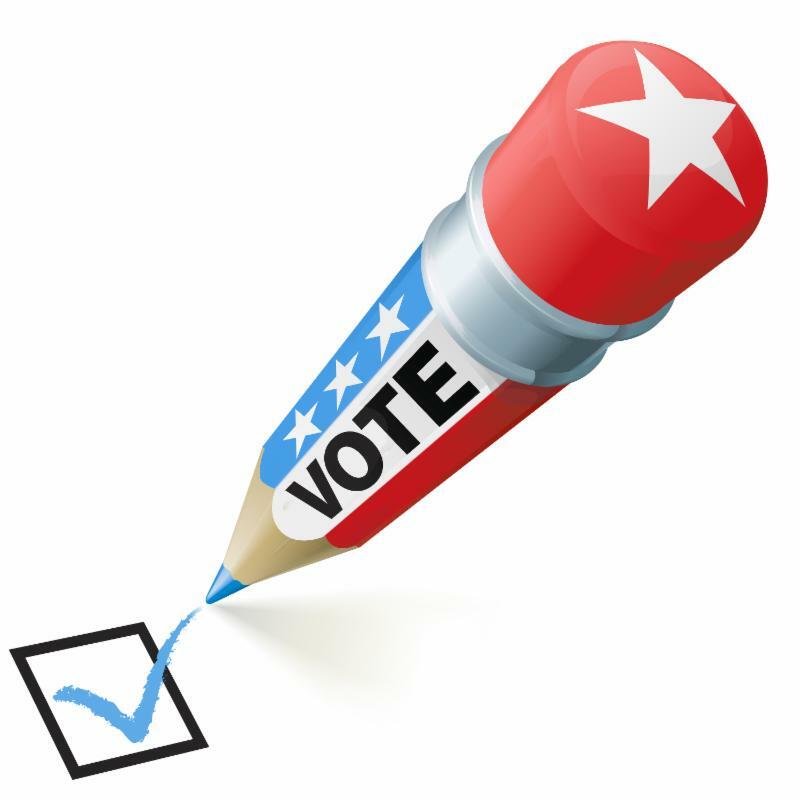 5.Assessed city council candidates in districts 2, 5 and 6. The last CalChamber identified Job Killer bill of the 2017-2018 Legislative Session, AB 3080 (Gonzalez Fletcher), has been vetoed by Governor Edmund G. Brown, Jr.
“We are grateful to the Governor for vetoing this bill and recognizing that, had it become law, AB 3080 would have been preempted by federal law. The Governor’s veto saved California employers from significant amount of unnecessary litigation,” said Allan Zaremberg, CalChamber President and CEO.